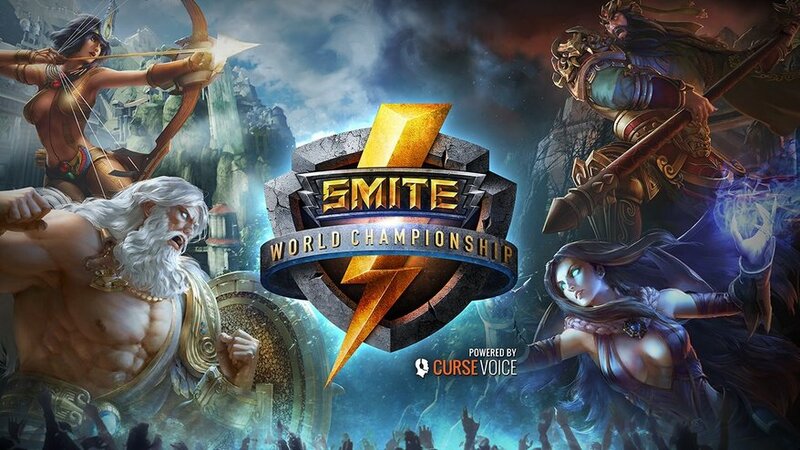 This weekend Hi-Rez Studios hosted the very first Smite World Championship. This MOBA game, which features some of the most famous mythical characters you’ve seen and heard of, allows players to take on the role of their favorite God. The game has two teams of five players, each team has the same objective, to take down the other teams Titan. If you watched previous Smite tournaments, you will see that Hi-Rez makes sure that their fans have an unforgettable time, taking pictures with some of your favorite Gods, as cosplayers pull off some of the most impressive customs, fanatics parties, and getting to meet your favorite Smite teams. The tournament was held at the beautiful Cobb Performing Arts Center in Atlanta, GA. The Smite World Championship offers 2.6 million dollars in prize pool, fans and Sport enthusiast were shocked. A game that hasn’t been out for a year yet, has hit one of the highest Prize Pools in eSports history. So how much will the first place winner go home with? Just about $1,306,130. With so much on the line, and with teams from all over the world coming to compete in such a large prize pool, only one can come out on top! 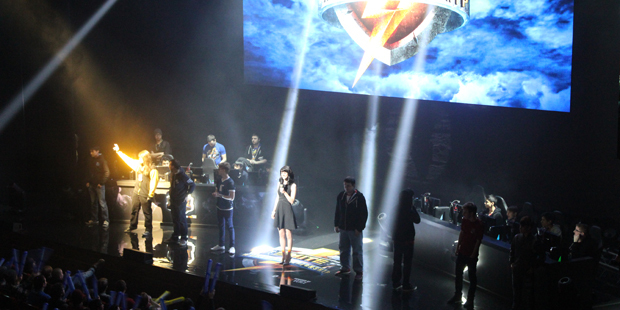 Here’s a re-cap of the First Smite World Championship. The crowd was already hyped for the tournament to begin. First match of the day started off with COG Red vs. DID. First blood went to DID, but sadly this would be the only kill the team would have throughout the whole game. Even though DID had the skills to take out there enemies, they were no match for COG Red, which quickly became a fan favorite. GOG Red dominated the game and took home the win. SK Gaming has a very strong fans base and is considers to be the team to have to beat in order to make a name for yourself, and they lived up to their name in this match. We Love Bacon did their best to stay in the competiton, but was no match for the calm, cool, and collected SK Gaming. It’s as if the team of SSK already knew they were taking this win, in which they did. OMG came in like a bat out of hell, the team felt as if they had an upper hand in the game since they did so well in Titan’s jungle, but soon realized it wasn’t a good idea to underestimate their opponents. Although OMG played strong, Titan came back stronger, and just in time. Titan came after OMG in a team fight, something OMG wasn’t prepared for which had the team looking like they were starting to struggle. In the end Titan’s team work was too much for the other team, which gave Titan the win. After their lost to Titan, OMG gets ready to play 404, and this match turns out totally different from the match before. OMG took what they learned from the last match and made sure they did demonstrate it in this match. OMG took more of an aggressive role and took control of the map. Now 404 played well, even stole a gold fury from the other team. Although 404 showed off what they were capable of, it couldn’t hold up to what OMG had in store for them and OMG took the game. This was the must watch game of the day, this game determined which team would get a granted spot in the semi-finals. Not knowing how this game would turn out, since both teams have already won previous matches, fans had no idea how this game would turn out. COG Red started off well and looked like they could actually take out one of the most feared teams, but as the match went on SK Gaming came out in full force playing aggressively. SK Gaming took the game reinstating they were not the team to mess with. The last match of the day, Titan started the match off strong, as the team played aggressively during their teamfights, with the team playing so aggressively fans thought that Titan might be able to take the game, but before we knew it COG Red stepped up their game and came out swinging. It looked like COG Red got into their opponents head and out smarted them, which game them the win. First game of the day started with Titan vs. We Love Bacon. Even though fans felt that We Love Bacon wouldn’t be able to hold their own in this match, they actually did. The team gave Titan a good fight in the first half, but the next match wouldn’t be the same. During the teamfight, it seemed as if We Love Bacon couldn’t take what team Titan was giving them. Titan’s gameplay became very powerful, more powerful than how they were playing earlier, leading Team Titan to winners. As COG Red took to the stage, fans wondered if the team could actually win this match. Within minutes the team achieved five kills, showing fans what they were really made of. OMG did their best to stay afloat, but just couldn’t take down the youngest team in the league. During the second game OMG got first blood, giving fans hope that maybe OMG you take this round, that dream was cut short. COG Red was not allowing OMG to get past them, even though OMG put a great fight, it was COG Red’s aggressiveness that gave them the win. This match started off well for Team Titan, as they did their best to make sure that they had the game balanced when it came to the gods, but that still didn’t shake SK, as the team seemed to have an answer for everything Team Titan had up their selves. Even though fans swore SK gaming would destroy Team Titan, the team showed they were a group to watch for. Team Titan put pressure on SK Gaming and it seems as SK didn’t have the answers that would allow them to win. SK gaming didn’t go down without a fight, they did their best in grand finals, but Team Titans line-up was no match and had fans in shock. As these two COG teams go head-to-head, fans could see that these two teams have a similar gameplay, which made the matches pretty long, but eventful match. During team fights, you can see which COG team was stronger, even though it was close Red took that round. But game two seemed to prove otherwise. During game two COG Prime managed to push their way through allowing Prime to take the, leading the game into a third match. During the third and final match Prime, yet again made sure they played aggressively and took control of the match. Knowing how the other team plays, Prime took advantage of that and took full control of the Gold Fury, and gave them a lead throughout the game. Red did fight back, but they didn’t have what it takes to take down Prime, which gave the win to COG Prime. These players have come a long way, and this match decides who will be the first Smite World Champion and the team to walk away with $1,306,130. The match started off with Team Titan falling behind losing two matches against COG Prime, and it seemed as if Team Titan had already sealed its faith, but the tables turned quickly and Titan made it clear they would not allow a sweep. Titan took the next two matches, making this one of the hype matches of the tournament, fans went crazy when everyone thought Team Titan had no way of coming back. They proved they could get into their opponents heads. Although Titan did make a comeback, it just wasn’t enough to take down COG Prime. Prime quickly picked up on Titan’s strategy, Titan picked up on it and was trying too hard to shut them down. 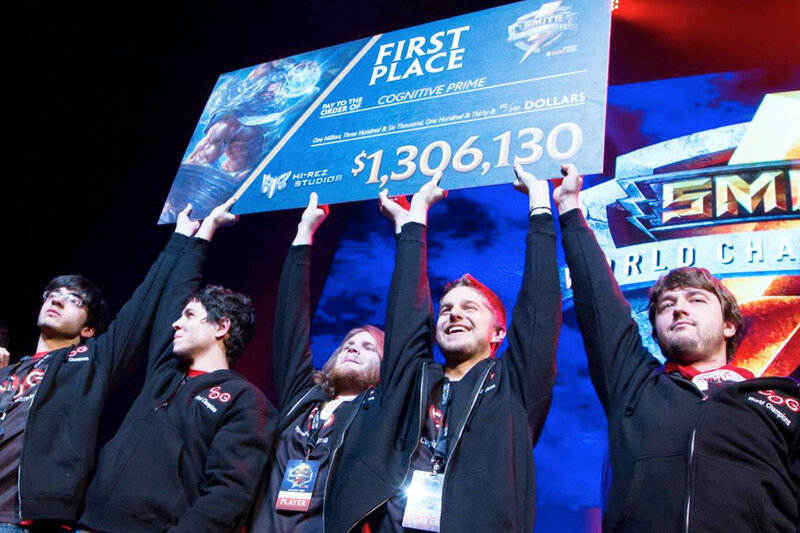 This allowed Prime to take advantage of the situation and allowed the team to grab the hammer of the Gods trophy making Team COG Red the first Smite World Championship 2015, taking home $1,306,130. The company announced a brand new Conquest Map that will be on its way, this will make for an exciting season and will have fans looking forward to the next Smite World Championship.